Thai Airways and EFL sign a new sponsorship deal. The organising body for the second, third and fourth tiers of English club soccer – The English Football League (EFL) – has negotiated and agreed that Thai Airways will move away from a club level partnership to one with the English Football League itself. Thailand’s national carrier will be listed as an official supporter of the organisation and score digital and in-stadia presence at each of the five EFL finals staged at London’s Wembley Stadium during the 2017/18 season. Prior to this deal, Thai brand Carabao Energy Drink became the title sponsor of the EFL Cup last November. Phuket Island radio supports many sporting activities including Sailing with The Phuket Kings Cup and Phuket Raceweek being two main events in the Phuket sports calendar. While the English Football League doesn’t have the global commercial clout of the EPL, Asia is expanding. The English Football League has been increasingly looking towards Asia for expansion in recent years. Clubs such as Aston Villa, Birmingham City FC, Cardiff City FC, Queens Park Rangers, Reading (sponsored by Thai Airways in 2014-2016), Sheffield Wednesday, Sheffield United and Wolverhampton Wanderers are all now owned by Asian companies or tycoons. Earlier this season, the EFL launched iFollow, a platform purposely designed to allow overseas fans catch EFL matches. 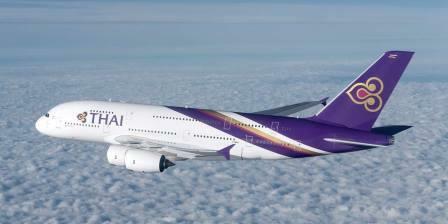 Moving back to Thai Airways and according to the ASN Index. Thai Airways is the 7th biggest spender in the Airline category over the last 3 years (4.2% share, ~US$12.1m total spend) in Asia. However, its total annual spend of US$1.32m for 2017 has been way below its usual average quarterly spend of US$1.02m (last 3 years to date). Most of this has come about from the cancellation of a large deal with the broadcaster CTH. This deal with the EFL – building on their first inroads with Reading FC – in effect replaces this multi-million dollar domestic deal. Thus, signalling a shift of the national carrier’s budgets towards English football “at the source” rather than a wrap-around for local audiences, most of whom are most likely already advocates of the brand. Phuket FM radio broadcasts Daily EPL and EFL updates direct from the BBC in London and on Saturday a one hour show Sporthour. You can tune into 91.5 and 102.5FM in Phuket or download the free apps and enjoy all the latest updates.